3. Adjust fan speed to correct for static pressure increases when using field-supplied air filter. 4. For more capacity information, refer to the combination tables in the Engineering Manual. 6. The specification may be subject to change without prior notice for purpose of improvement. 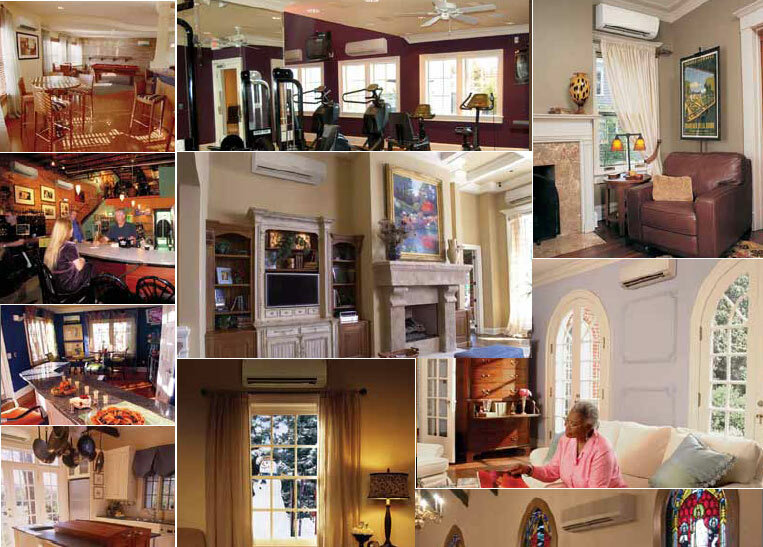 LG's devotion to providing efficient ductless solutions can be seen across the Multi F line of indoor units. The LMVN-HV is also demonstrative of their ingenuity. This is an air handling indoor unit that can be installed in nearly any ducting run. 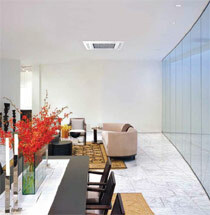 LG's air handlers are designed to provide powerful heating and cooling for the major rooms in your home or business. Capable of managing high air speeds and volumes effortlessly, the LMVN-HV is an impressive addition to large mini split systems. The LMVN360HV can operate at volumes as low as 43 dB thanks to its advanced fan motor. The brushless direct current motor reduces electrical and mechanical sound while providing powerful air movement. Auto operation mode continually compares your zone's current and desired temperatures and uses that data to intelligently adjust the unit's fan speed and refrigerant flow to provide optimal comfort. With the sleep mode and timer functions, you can set this indoor unit to save energy at night. Sleep mode will incrementally adjust temperature for an hour before the timer function automatically deactivates the unit. LG's multi-zone indoor units include a dehumidifying operation mode. In this mode, the unit's internal sensors monitor temperature and modify the set point and fan speed to remove moisture from the air. When the hot start function is enabled, the LMVN-HV's fan will not engage until the outdoor condenser has had the opportunity to warm the indoor coil. This prevents the unit from blowing cold air during heating operations. The LMVN-HV can be installed in either a vertical or a horizontal orientation, making it a versatile solution for all manners of duct systems.